An ethereal world of harmonies and breathtaking rhythms. It’s a record that is intensely listenable as well as passionate and heartwarming. His most varied solo release and also his warmest and sweetest. The record has a few too many duds to create a cohesive listen. A careful balance of soft electronics and rattling trap beats craft the sound of Assume Form. ‘Assume Form’ is a hypnotic, spellbinding arrangement of unique sounds stitched to poetry. It’s a well-curated, 48-minute album of frequently annoying pop that’s just self-serious enough so you know you’re listening to someone who used to be weird. Assume Form builds on Blake's foundation as an electropop savant but with added sophistication and maturity in his songwriting. The limber Assume Form finds Blake with a new lease on life. Whereas before, Blake was holding the listener at arms length and shrouding his songs in oblique imagery, on Assume Form his lyrics are personal and detailed. Instead of rushing past this album wondering what happens next and whether or not he really can be a successful musician when not mired in misery, let’s just let him have it. One thing’s for sure and it’s that Blake’s musical pallet is a fair bit brighter of late and you can expect a deeper, stronger and more solid vocal tone on much of the album. Assume Form is a stand-out record in Blake’s catalog. He gives us the closure that he’s been longing for in his past few albums. The album’s instincts are noble, but the execution isn’t always as strong as the convictions. On Assume Form, he’s tried to seal up the leaks and make everything solid, but he doesn’t have all the right pieces. Sonically, Assume Form might be his most approachable album to date, but its emotions are anything but simple. Assume Form is surely a shift toward a more optimistic Blake, but occasionally at the cost of song quality and his expected moments of spicy originality. Blake is learning to live in the present, and as a result, his music feels stronger, healthier, and more immortal than ever. Assume Form is not so much bad as it is disappointing; it’s fine that James Blake did not reinvent the wheel, but it’s less fine that his wheels are spinning. Assume Form gives a new face to Blake’s music that is happier, more loving tone, but continues along the same route as his past music. Assume Form represents a reckoning of sorts, a coming to terms with his inner demons, and the process which leads to reconciliation. If anything, the record feels more like the logical continuation of what he’s been doing. No longer masked by double exposure, deep blues and greys, Assume Form is Blake coming into focus. Assume Form casts Blake’s prior albums in a new light, as does the once-secretive young maestro’s new openness about his life and his struggles. In taking elements of pop, soul, and R&B and jazzing them into a soundscape that feels unplaceable, the listener finds constancy through Blake’s voice, which is a brilliant move. James Blake has been a tough sell to the broader pop world, but he’s managed to craft an inviting record that is far removed from his previous work while keeping a lot of it intact. The 12 tracks don’t precisely chronicle the Londoner’s newly opened emotions but there’s a quickening of the musical pulse that replaces his erstwhile glacial crawl with a sound approximating soulful warmth. Blake’s fourth career album turns firmly away from the idea of sadness, without majorly altering the aesthetic that fans have come to expect. He captures his audience, as always, and so quickly does not let go. Rather than a journey, this album is a proud result of his emotional maturity. With "Assume Form" James Blake has achieved a harmonious and pleasant album. “Assume Form,” is no less intimate, but now he finds himself working with an incredible support system. For an album all about flow, Assume Form is maddeningly stagnant. Its music solidifying in a rich and involving fashion around lyrics celebrating a new-found sense of companionship. It is a decidedly interesting album, full of particular finds in the arrangements, where the personality of its author emerges clear and clear. While his general “sad boy” electropop is still the sonic skeleton of the twelve tracks, his message has wizened into a more grateful introspection, resting on the back of what is essentially a collection of blissful love songs. His celestial ambiances and his urban touch make Assume Form a very contemporary album. You get a sense of every emotion that went into every line of Assume Form, and between the beauty and chaos of the record is an oddly calming, reassuring sound that tells you everything will be alright one day. This album is, without a doubt, a big, glitchy, swooning, hyper-modern declaration of love. It is remarkable that despite (or thanks to) these features Blake delivers his most authentic album. On Assume Form , James Blake leaves his comfort zone and partially abandons the melancholic landscapes to celebrate love in its purest form and reinvent his sonorities in contact with musicians reciprocally emphasizing their talents. Assume Form finds Blake sonically in a state of equilibrium, having found two niches over the course of his career that suit him equally well. As ever, Blake’s taste is immaculate: Who better to view a relationship’s bittersweet totality than the man behind “Ms. Jackson”? Truly finding himself at home in the hip-hop genre, this new release is the beginning of a new James Blake, and one that feels like there is so much more to share. Conjuring feelings that are both dire and familiar, James Blake has managed to reveal a new layer of personal drama within Assume Form. Assume Form doesn’t have the instant gratification of his 2013 album, Overgrown – arguably his best – but it gradually pulls you in like a soothing balm. Where Blake’s earliest records were a stark window into his solitary writing and recording sessions, Assume Form is inviting and intimate. Assume Form finds Blake at his most tactile and slippery, insular and assured. Assume Form introduces joy and romance to Blake’s music, and it’s all the better for it. There are more interesting James Blake albums than Assume Form, but there may not be another one that goes down as easy on first listen. Assume Form is wine that can not be suggested with just one plate. In an age of over-saturation where everything vies for your attention, Blake’s skeletal arrangements are a refreshing antidote. Assume Form is a statement of Blake’s self belief. His willingness to show us what he has been building towards – his most sincere and optimistic record so far. 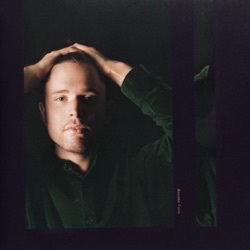 The perma-brilliant James Blake has flooded his fourth album – Assume Form – with euphoric sepia soul and loved-up doo-wop. Blake sounds better the more famous and less famous people he’s got surrounding him, and the more rapt listeners he’s willing to reach out to. Let’s call this his most affecting record to date. Across his last two albums, Overgrown and The Colour In Anything, Blake gradually revealed himself—sonically, lyrically, emotionally—but on Assume Form he kicks the front door wide open. ‘Assume Form’ finds James Blake clear-headed and in focus like never before. Concerned, happy, smitten — no matter the feeling, Blake is still willing to broadcast them all. An album that blows James Blake’s musical and personal horizons wide open. James Blake called in the big names for this record but weakened his sound. Assume Form” sets a high artistic bar for 2019. The wish we had for the release of the third James Blake album THE COLOR IN ANYTHING in May 2016 has come true: the artist has come up with something different. The 30-year-old Mercury Prize-winner’s most fully-realised album to date. This is festival-headline worthy, but for the body, not just the brain. I'm going to be listening to it all year. Even with a finale that slightly underwhelms, Assume Form is a remarkable achievement by one of the most original songwriters of his generation. Like the rest of Blake’s albums, “Assume Form” opens into haunted, rewarding depths. All that’s missing is one luminous, fully focused pop chorus. It’s tempting to lay Assume Form’s flaws on the fact that Blake’s muse is no longer solitude, but really the risk he’s taken is in over-explaining his art. Blake has found his final configuration in another, and it sounds glorious. It is immensely pleasing to witness an artist who seemed to be at a dead end now moving forward. He didn’t assume form, he created it. This album shows transparent progression in my opinion. It’s fantastic. To clearly weave different sounds together the way he does, is a treat that some people’s ears have been looking forward to, from any artist. Absolute magic. I’ve been waiting for you James Genius! UGH.. Ugh. So far so bad. One obligatory star.